Naresh Sehgal, Author at Ghumakkar - Inspiring travel experiences. Belongs to Ambala (Haryana). Working as Sr. Engineer in a PSU . Traveling, Music,Himalayas and reading travel blogs are my passion.Being a GOD loving, I love to visit the places having religious and historical significance. With God Grace, regular traveler to Sh Amarnath Ji Shrine since 2002 and frequent traveler to Maa Vaishno Devi Shrine. Prem Mandir is a monument of God’s love. Prem Mandir is a like a magnet that attracts the heart and mind of every sincere spiritual seeker and everyone who desires to experience the love of God. It has revealed, rejuvenated and firmly established the true form of devotion, and gives guidelines and devotional material for spiritual aspirants for all time to come. 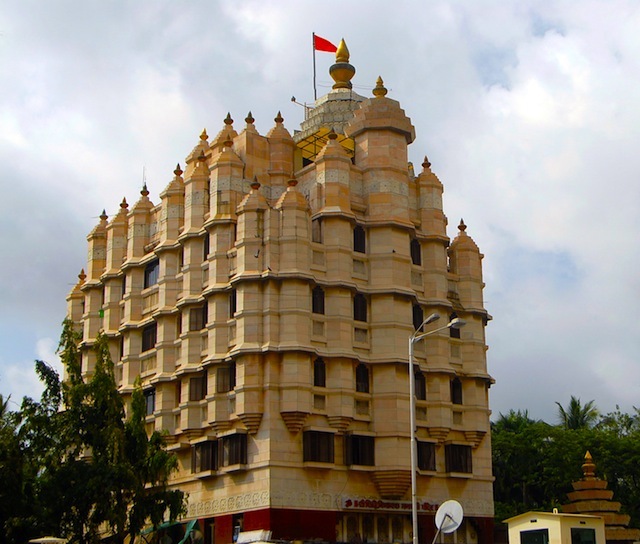 Earlier, the Siddhivinayak temple was a small construction highlighting the black idol of Shree Siddhivinayak, carved out of stone. It was only two and half feet wide then. The most remarkable feature of this idol of Lord Ganesh is that, His trunk is tilted to the right side. The deity has four hands, which is why it is also called Chaturbhuj. 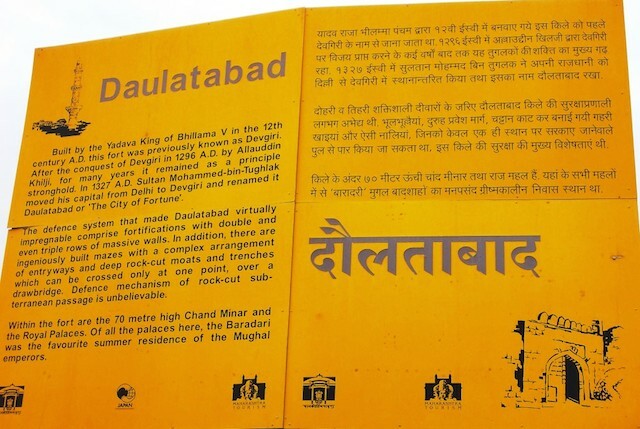 Bibi Ka Maqbara is situated about 5 kms from the Aurangabad city, the burial place of Aurangzeb wife, Rabia-Durrani. It is an imitation of the Taj Mahal at Agra; it is also called as “poor man’s Taj Mahal” owing to it being a poor replica of the Taj. Behind the tomb is located a small archeological museum. The tomb dates from 1678 and it was erected by Prince Azam Shah, one of Aurangzeb’s sons, in memory of Begum Rabia Durani, his mother. It stands in the middle of a spacious and formally planned garden, some 457 by 274 meters, with axial ponds, fountains, and water channels, many defined by stone screens and lined with broad pathways. The garden is enclosed by high crenellated walls with fortress set at intervals, and open pavilions on three sides. Aurangzeb funded his resting place by knitting caps and copying the Qu’ran, during the last years of his life, works which he sold anonymously in the market place. Here are also buried Azam Shah, Aurangzeb’s son, Nizam-ul-Mulk Asaf Jah, the founder of the Hyderabad dynasty, his second son Nasir Jang, Nizare Shah, king of Ahmednagar, Tana Shah, last of the Golkonda kings and a host of minor celebrities. It is estimated that the task of quarrying its 3,000,000 cubic feet of rock must have occupied at least one hundred years. It is wonder to see so great a mass in the air which seems so slenderly under-dropped that could hardly forbear to shudder on first entering it. There is no nobler achievement of the Indian architects and sculptors, and no greater marvel of Indian sculpture. The caves excavations are on a sloping hill side. They are spread over an area, from North to South, of about two kilometers. All caves are west facing. 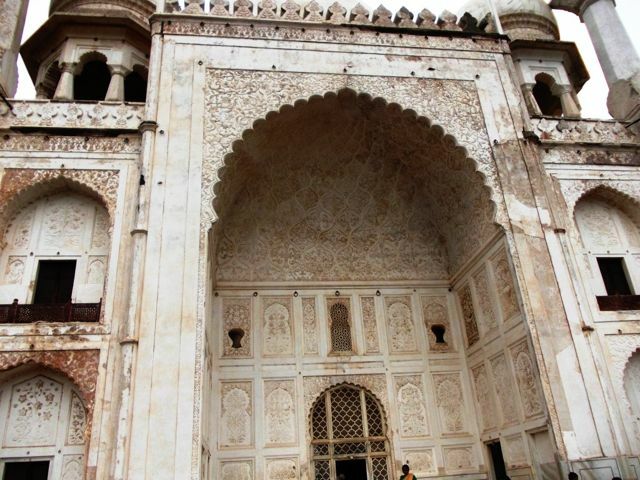 These are maintained by ASI and have an entry ticket of Rs.10 for Indians. 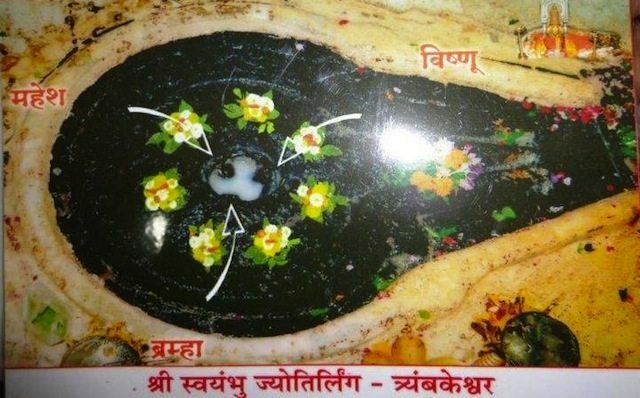 According to Dwadasha Jyotirlinga Stotram, there are twelve Jyotirlings in total and Grishneshwar Jyotirling is considered to be twelfth. 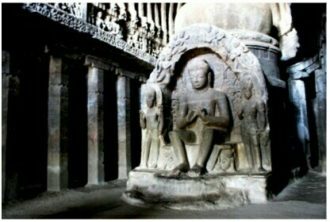 This is located at a village called Verul, which lies 35 km from Aurangabad in Maharashtra and approximately 100 kms from Manmad station. 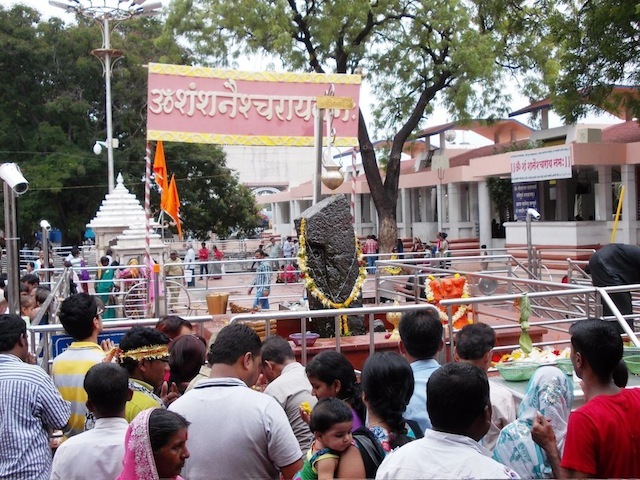 Shani Shingnapur is perhaps the most popular place for all Shani Dev devotees. Shignapur is situated at a distance of 6 kms from Ghodegaon on Aurangabad-Ahmednagar highway. Its distance from Aurangabad is 84 kms, 75 km from Shirdi and from Ahmednagar it is 35 kms. 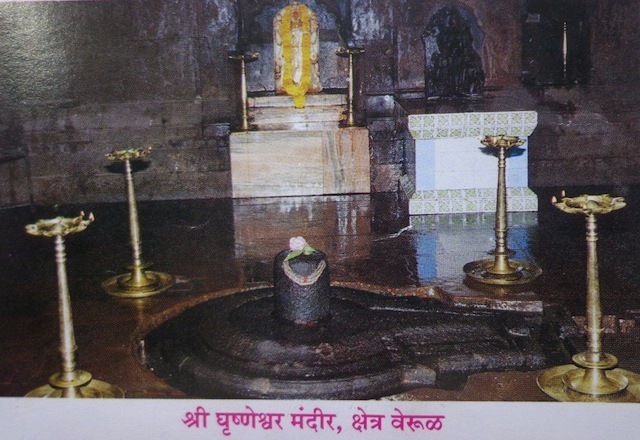 From Ghodegaon, there is a motorable tar road up to the idol of Shri Shaneshwar and is open in all the seasons. After five minutes, suddenly door was open and we were asked to go for darshan- as there was some delay in the Aarti. We entered from one side and have darshan and came out from another door, just opposite to entrance. After darshan we also went to Dwarkamai, Chavadi and Gurusthan. 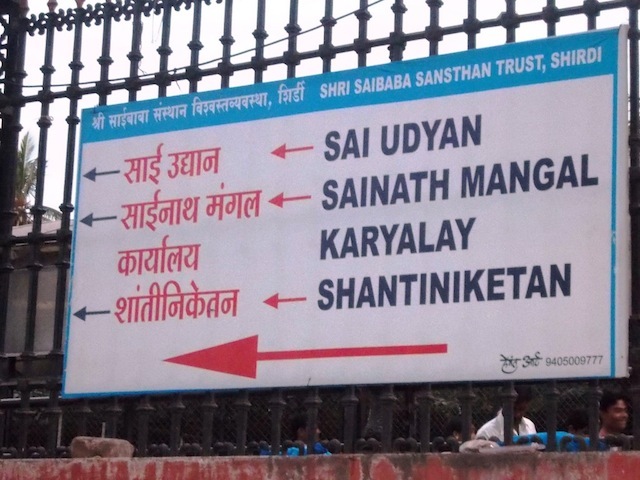 These all places are on the backside of Samadhi temple. 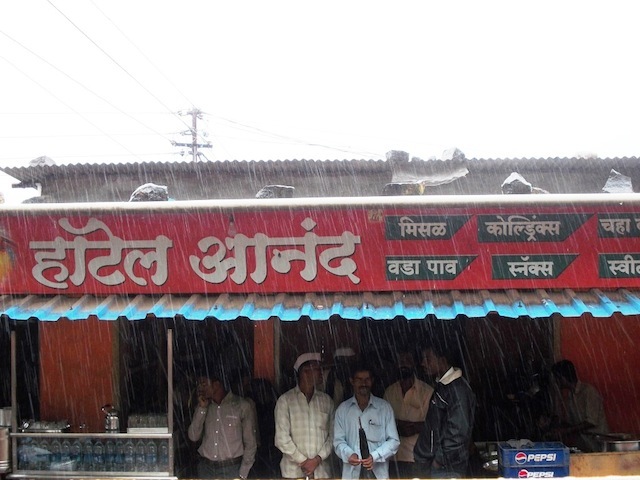 There is also one canteen serving snacks, tea and coffee. Bhimshankar is a carpet of greenery and legend has it that the dense jungles here served as a refuge for the Pandavas. 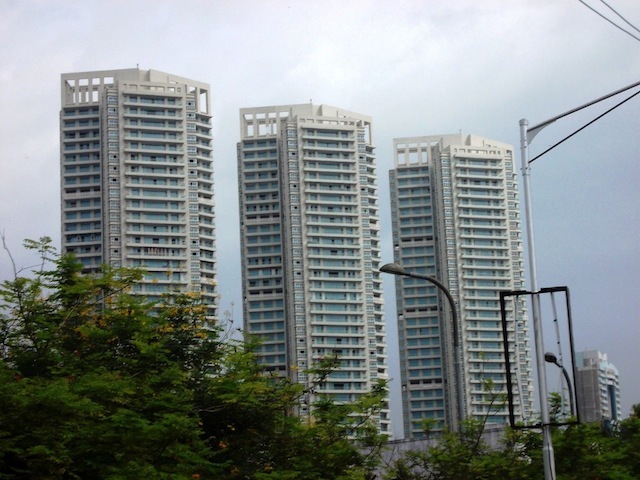 In recent times it has gained tremendous significance since it was declared as “WILD LIFE SANCTUARY”. Nature enthusiasts would do well to explore the serene hidden depths of the Bhīma Shankar Wildlife Sanctuary, where the local biodiversity has been diligently protected for generations. 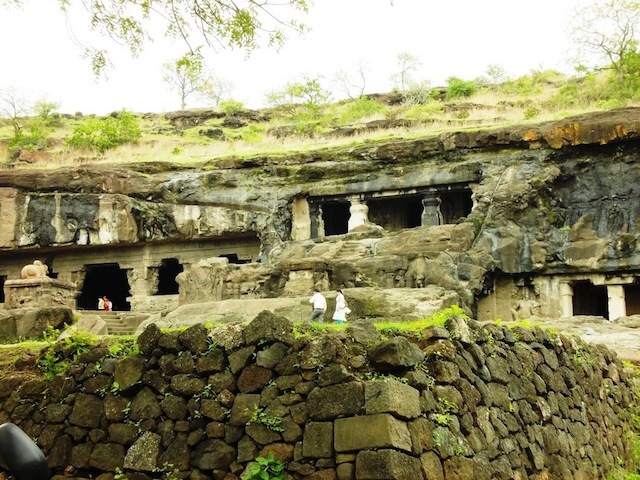 It is also becoming one of the attractive and well known religious places in Maharashtra as well as in India. Juhu Beach is a gastronomic paradise of snacks like Bhelpuri, Chuski ice balls dipped in syrup, Pani Puri, Pao bhaji etc. On weekends people throng the beach and enjoy horse rides, dancing monkeys, acrobats, balloon sellers, toy sellers and many other types of beach amusement. You can even indulge in shopping by buying souvenirs made of sea shells and other trinkets.